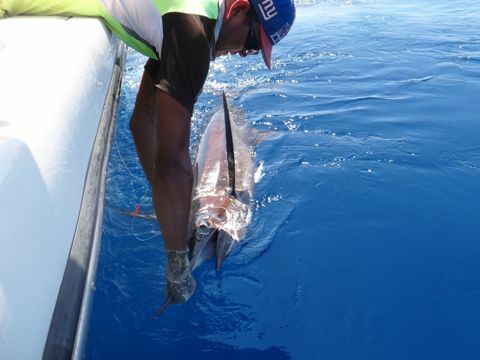 Heading into the second week of February here at Come Fish Panama we had Dr. Bonds group from Canada and returning anglers Louis & Stacy Toll from Ft. Lauderdale, Florida to provide the rod bending action. Throughout the first half of the month we had clear blue skies along with crystal blue water and continuous swells around 2-5 feet. The wind did pick up this week which held the vessels closer to shore for inshore fishing for a day but provide some good action. During the mornings we continue to had variable winds coming out of the NW at 5 to 9 knots and our ride home was a bit choppy with winds out of the South. 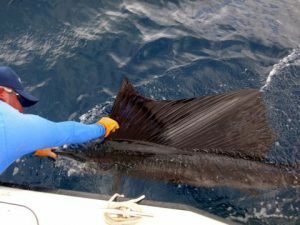 anglers still looking to target Marlin, Pacific Sailfish, Yellowfin Tuna, Mahi-Mahi, and other species giving us options this week as well. 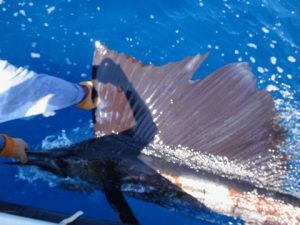 Billfish and Yellowfin Tuna were still the most requested pelagic species each group was interested in, so we focused our attention to ensure locating them as we have in the past and have these anglers fight them during their trip. The Bond group were up first, “Marlin On”, “Sail On”, “Tuna On”, “Dorado On”, “Snapper On” ect. those were the words that were spoken this week on the vessel. 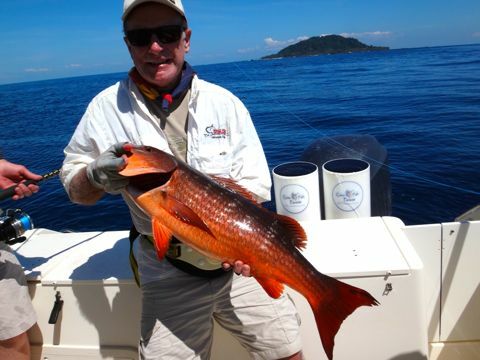 These guys were on it and they enjoyed slamming all sorts of pelagic/species the Gulf of Chiriqui had to offer and we were more than happy to locate the fish for them. 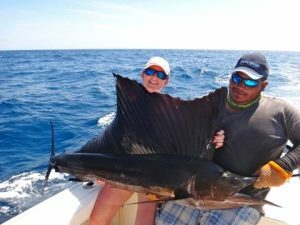 Next up, returning anglers Louis and Stacy Toll which fished 2 days with us and on day one Stacy hooked up her first ever Pacific Sailfish, she was stoked to be able to land this species as you will notice below her big smile- Louis and Stacy also hooked up with a nice Yellowfin Tuna along with other species. 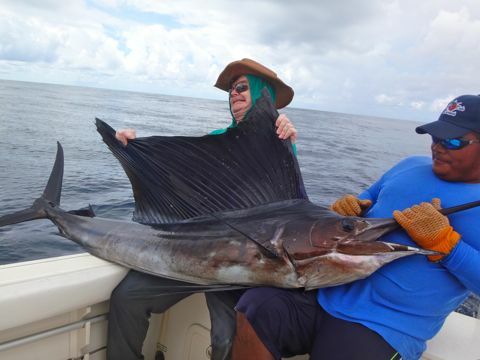 I look forward to sport fishing with them up in Florida later this year to see whats running off the Lauderdale coast in Florida. Congratulations to Stacy once again for catching her first ever Pacific Sailfish. We would like to express our sincere gratitude to all our anglers that trusted Come Fish Panama with their fishing adventures. We do realize that they have a choice of fishing operators and express our thanks. We look forward to seeing them and you in the near future. 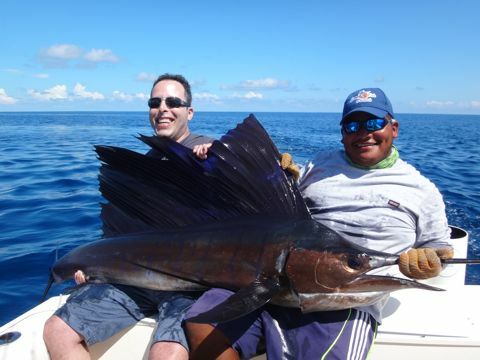 To catch up with these and other past anglers’ photographs, visit our Photo Gallery on the site.